We live in a nation where animals are used for food, fashion and clothing, entertainment, research, and in wildlife-associated recreation – in both harmful and benign ways – to generate hundreds of billions of dollars in commerce. The pork industry alone – which kills more than 100 million pigs each year – is a $100 billion enterprise. Add in the other sectors of animal agriculture, and then consider the uses of animals in wildlife management, in fashion, the pet trade, and so many other sectors. It's endless, and the amount of economic activity is perhaps more than a trillion dollars a year, just in the United States. What do we as individuals – and collectively as a nation– owe the animals in return? Most people would say we at least owe them humane treatment – to be raised on farms or in laboratories without suffering pain and distress, or in wildlife management not to be killed needlessly and certainly not by means that cause torment. When we kill animals, there should be humane standards. Sadly, in too many instances, laws are not in place to guarantee even minimal standards for all animals, as the recent New York Times investigation of the U.S. Meat Animal Research Center revealed. Poultry are excluded from the Humane Methods of Slaughter Act. Birds, rats, and mice bred for use in research and farm animals used in agricultural research are excluded from the Animal Welfare Act. What's more, our government subsidizes a wide array of abusive activities, including predator control programs with traps and poisons and intensive confinement of animals on factory farms. We as a nation should do better – so much better, infinitely better. At The HSUS, we believe that the law must act as a shield against abusive conduct, and in terms of the executive branch, federal agencies should vigorously enforce the modest range of animal protection laws on the books. The president's budget, just released, does not speak to these larger issues, except in relatively small ways. Although the $4 trillion budget contains positive provisions – funding anti-wildlife trafficking measures and defunding horse slaughterinspections – it also funds a wasteful program that kills millions of wild animals every year and continues through agriculture subsidies to allocate more money to harming animals than to helping them. Most of these anti-animal welfare expenditures are authorized in long-running and often opaque laws, with programs seamlessly funded as directed by Congress and with special interests expecting these government handouts to subsidize their industries. The only response is to chip away at these programs and to ask that the government play more of a role as protector of animals rather than promoter of animal exploitation. In the end, it can only turn around when lawmakers and the president recognize that animal protection matters to average Americans – and that continuing subsidies and cruel programs won't win votes. Horse Slaughter Defund: The 2016 budget once again defunds horse slaughter plant inspections. The language is included for the third year in a row. For nine of the last 11 years, including 2014 and 2015, we've been able to get this defund language in the federal spending bills, preventing new horse slaughter plants from opening on U.S. soil. The public overwhelmingly opposes horse slaughter and Americans do not eat horses, so this common sense proposal is critical to ensure that tax dollars are not wasted to fund this inhumane industry. Predator Control: We are thrilled to see the president cut over $9 million from the U.S. Department of Agriculture's Wildlife Services program. Wildlife Services kills millions of wild animals every year as a subsidy to private ranchers and other resource users throughout the country. We think this is a great start and are glad that the administration is recognizing that the program needs to be reformed. Horse Protection Act/Animal Welfare Act Enforcement: While the Animal Plant Health Inspection Service's overall budget for 2016 decreased from 2015, funding for Horse Protection Act enforcement increased slightly, and funding for Animal Welfare Act enforcement remained stable. Effective enforcement of these laws is vital for animals at thousands of puppy mills, circuses, roadside zoos, laboratories, and horse shows. The HSUS will pursue legislation amending the Horse Protection Act to crack down on illegal horse soring and legislation amending the Animal Welfare Act to close loopholes that exclude oversight of farm animal research in federal facilities. The African Elephant Conservation Program, which provides technical and financial assistance to protect African elephants and their habitats, including anti-poaching activities, was increased by $1 million.The Rhinoceros and Tiger Conservation Program, which provides conservation grants to protect rhinoceros and tiger populations and their habitats within African and Asian countries, was also increased by $1 million. The African Elephant Conservation Program, which provides technical and financial assistance to protect African elephants and their habitats, including anti-poaching activities, was increased by $1 million. The Rhinoceros and Tiger Conservation Program, which provides conservation grants to protect rhinoceros and tiger populations and their habitats within African and Asian countries, was also increased by $1 million. Wild Horses/Slaughter: The Wild Horse and Burro Program received a $3 million increase in its budget this year, which will allow the agency to aggressively implement the recommendation of the June 2013 National Academy of Science report, "Using Science to Improve the BLM Wild Horse and Management Program - A Way Forward," including expanding research on population control methods. The HSUS is hopeful that the increase in funding will allow BLM to begin curbing reproduction of wild horses on the range, a necessary step to reduce costs and eliminate the need to remove animals from the range. As the budget makes clear, appropriations may not be used for destruction or sale of wild horses and burros for processing into commercial products (i.e., slaughter). Sage Grouse: The President's budget included $60 million, an increase of $45 million from last year's budget, to work on implementing the Sage Grouse Conservation Strategy. The HSUS is pleased that the Department of Interior has pledged to continue working towards developing a long-term conservation plan for the sage grouse. Wildlife Trafficking: Funding for International Narcotics Control and Law Enforcement (INCLE) at the Department of State will be used to support combatting wildlife trafficking. No less than $55,000,000 will be dedicated to combating wildlife trafficking, at least $10,000,000 of which will go towards fighting rhinoceros poaching. No funding will be provided to any foreign military unit if the Secretary of State determines that such unit was credibly alleged to have participated in wildlife poaching or trafficking (unless doing so is in the national security interest of the United States). No less than $55,000,000 will be dedicated to combating wildlife trafficking, at least $10,000,000 of which will go towards fighting rhinoceros poaching. No funding will be provided to any foreign military unit if the Secretary of State determines that such unit was credibly alleged to have participated in wildlife poaching or trafficking (unless doing so is in the national security interest of the United States). Alternatives to Testing on Animals: The EPA's Chemical Safety for Sustainability Research Program is leading the development of new computational systems and models of pathways and tissues to support innovative research on chemicals and materials. The EPA will continue to work with the National Institutes of Health and the Food and Drug Administration on the Tox21 consortium, a federal project expected to substantially reduce the current reliance on animal testing.There are many other key items tucked within this massive budget document, and I'll be giving more feedback on them as our staff reviews thousands of pages, numbers and line items. In addition, we'll be calling on you to contact your lawmakers to act to influence the outcomes, since it is Congress that pins down the numbers. We expect a major fight over the horse slaughter language, especially with the departure of Senator Mary Landrieu and Representative Jim Moran, two champions of the provision through the years, and we'll be working hard to get adequate funding for enforcement of our most important federal laws to protect animals. Alternatives to Testing on Animals: The EPA's Chemical Safety for Sustainability Research Program is leading the development of new computational systems and models of pathways and tissues to support innovative research on chemicals and materials. 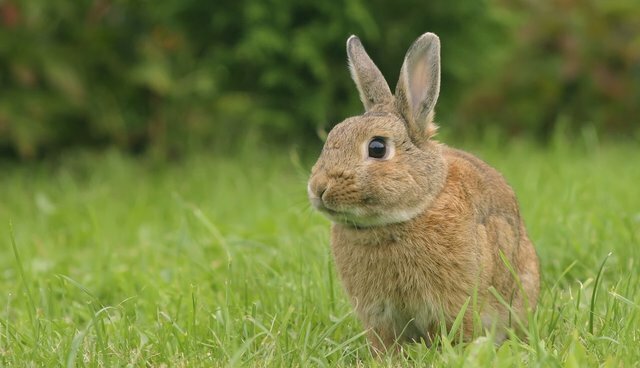 The EPA will continue to work with the National Institutes of Health and the Food and Drug Administration on the Tox21 consortium, a federal project expected to substantially reduce the current reliance on animal testing. There are many other key items tucked within this massive budget document, and I'll be giving more feedback on them as our staff reviews thousands of pages, numbers and line items. In addition, we'll be calling on you to contact your lawmakers to act to influence the outcomes, since it is Congress that pins down the numbers. We expect a major fight over the horse slaughter language, especially with the departure of Senator Mary Landrieu and Representative Jim Moran, two champions of the provision through the years, and we'll be working hard to get adequate funding for enforcement of our most important federal laws to protect animals.